Gallia Academy senior Hunter Copley (44) delivers a pitch, during the Blue Angels’ 14-1 victory over Chesapeake on Wednesday in Centenary, Ohio. CENTENARY, Ohio — Starting to feel a little more in the swing of things. 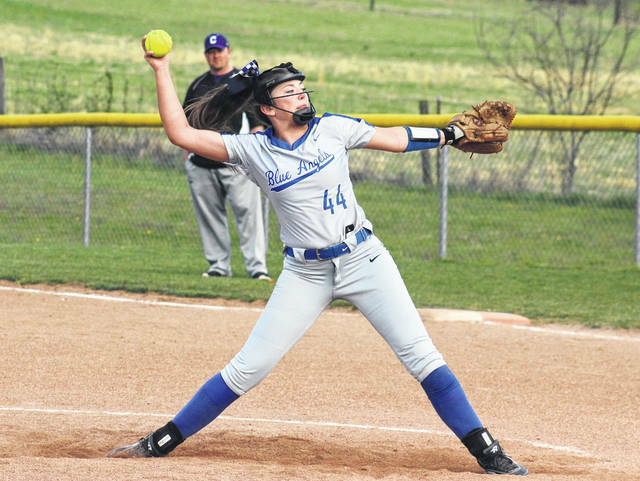 The Gallia Academy softball team picked up its third straight Ohio Valley Conference victory and its first mercy rule win of the year on Wednesday in Gallia County, defeating guest Chesapeake by a 14-1 count in five frames. 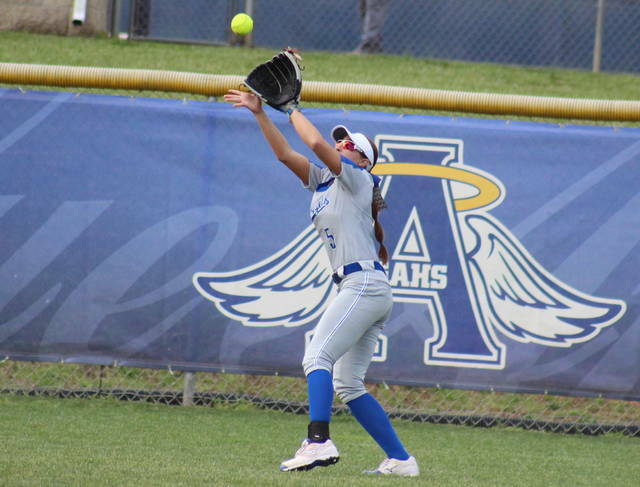 The Blue Angels (3-7, 3-1 OVC) took a 1-0 lead in the second at-bat of the bottom of the first, as Chasity Adams drove in Alex Barnes, who led off the inning with a single and then stole two bases. Chesapeake evened the score in the top of the second, plating a run on an error. However, the guests stranded a runner on third base in the inning, and didn’t advance beyond second again. GAHS reestablished the lead with two outs in the bottom of the second, as Abby Hammons scored on a single by Barnes. The Blue and White made their lead 4-1 in the bottom of the third, as Bailey Meadows doubled home Malerie Stanley and then scored on a Aubrey Unroe double. Gallia Academy sent 15 batters to the plate in the bottom of the fourth, scoring 10 runs to cap off the 14-1 mercy rule win. GAHS senior Hunter Copley was the winning pitcher of record in a complete game for the hosts, striking out four batters and walking one, while allowing one unearned run and four hits. Storms took the setback in three frames for the guests, striking out one and allowing eight earned runs on eight hits and four walks. Swann finished the game for CHS, allowing six runs, five earned, on seven hits. Barnes led GAHS at the plate, going 4-for-4 with a double, three runs scored and one run batted in. Stanley was 3-for-4 with a double, three runs and four RBIs, Unroe was 2-for-3 with a double, a run and two RBIs, Meadows was 2-for-4 with a double, two runs and two RBIs, while Bailie Young went 2-for-3 and scored once. 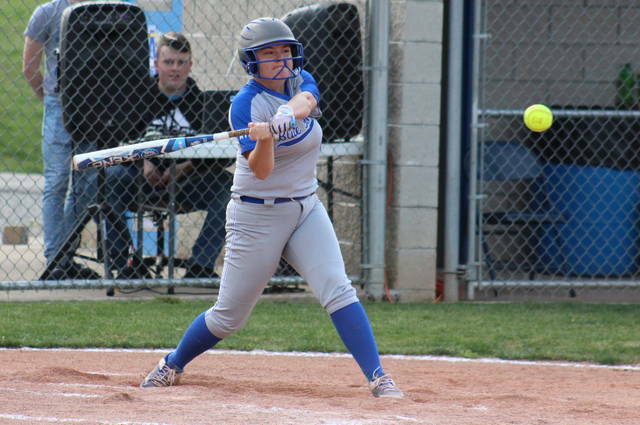 Copley came up with a single, a run and an RBI for the victors, Kyla Miller added a single and a pair of RBIs, Adams chipped in with two runs and one RBI, while Hammons contributed a run. Swann was 2-for-2 at the plate to lead the guests. Bowman doubled once and scored once in the setback, while Rollins added a single. 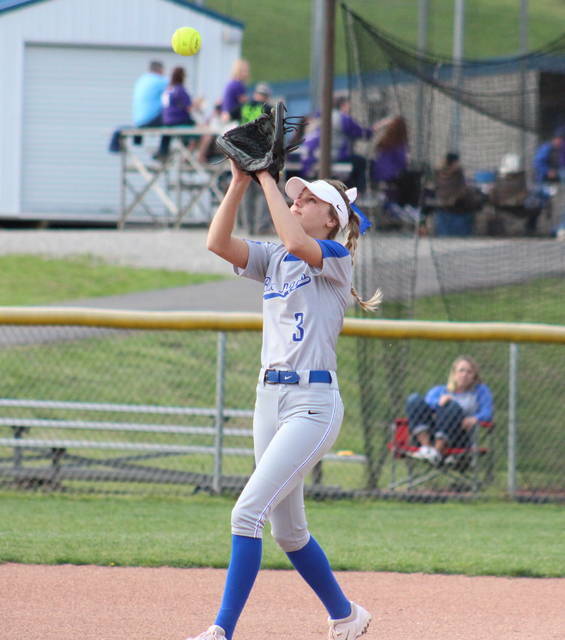 Gallia Academy committed two errors, one fewer than Chesapeake, and both teams stranded seven runners on base. The Blue Angels will try to repeat this performance when they visit the Lady Panthers on April 26. Next, GAHS will head to Coal Grove on Friday. Alex Hawley can be reached at 740-446-2342, ext. 2100. We appreciate you sharing our content on social media. Please consider following us by clicking below.